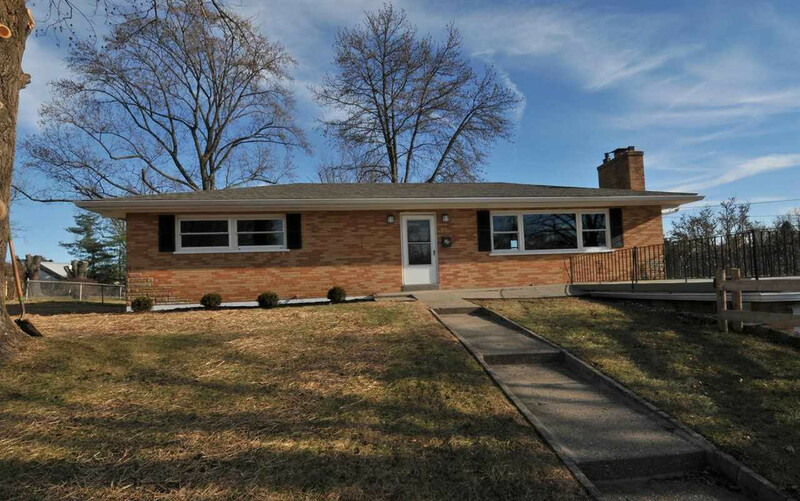 Maintenance-Free All Brick Ranch Loaded with Updates! Refinished Hardwood Flooring/Fresh Paint/Designer Lighting/All New Kitchen with Ceramic Tile Flooring, New Cabinetry, Countertops, Sink & Stainless Steel Appliances/Ceramic Bath/Large Room Sizes/Wood Burning Fireplace with Gas Ignition/New 6 Panel Doors, Hardware, Water Heater & Roof/Newer Furnace, Central Air & Windows/Fenced Level Lot/Relaxing Deck/Expansive Patio + More! Minutes to Shopping, Restaurants & Expressways!